My name is Lydia and I am the 8th born in the family of 10 children. My parents are subsistence farmers and when I was young they always struggled to send us to school. The situation worsened when war broke out in my home area. Some schools were burnt down and people were always on the run. 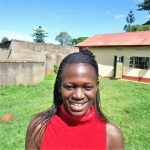 It was then that one of my much older brothers, who was working as a primary teacher at one of the INUG schools invited me to stay with him and through him, I was enrolled for sponsorship. In 2003, while in primary year three, I was sponsored. Lydia in 2014 shortly before going to University. 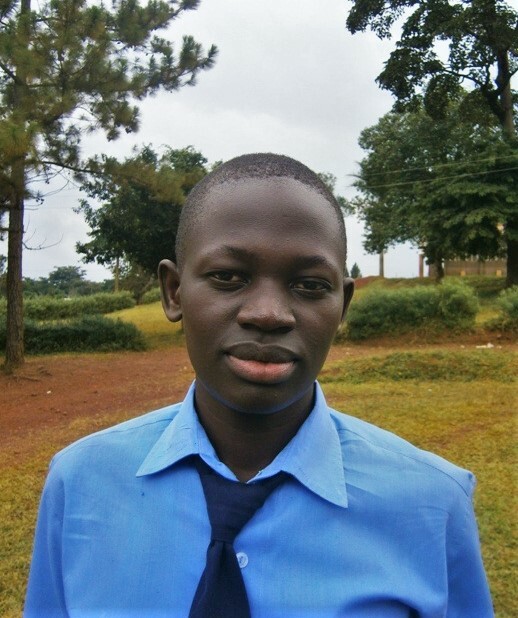 My sponsor helped my family send me to school and International Needs Uganda even supported me through University. I graduated with my bachelors’ degree of Science in Population Studies at University in 2017. 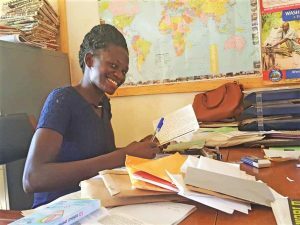 Lydia at work in the International Needs Uganda Sponsorship Office. I send my sincere thanks to my sponsors from the UK who stood with me through this journey of education and your additional financial support through INUG tertiary fund while at the university and the INCAP family for the moral support and guidance. You gave me hope when all my hope was lost. You made my childhood dream come to pass, I will always be grateful. I strongly believe that my story would have been different if it was not for your support. I thank God for this golden opportunity. I am who I am because you cared. Thank you and God bless you so much. 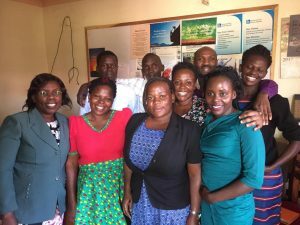 Lydia (Right) with the rest of the International Needs Uganda Sponsorship Team. Now, I am working with International Needs Uganda’s Child Sponsorship department as a Child Development Assistant. I am able to support my sister to go to school and able to take care of myself. You will always be in my prayers. Sponsorship can change a child’s life. Could you be the one to make a difference? Click here and find out about becoming a child sponsor today.